For those who can't fall asleep or wake up at night. Helps restore regular and rejuvenating sleep patterns. Based on the following organic Bach Flower essences, prepared according to Dr Bach's Original method and preserved in the finest organic Brandy : Star of Bethlehem, White Chestnut, Red Chestnut, Aspen, Vervain. 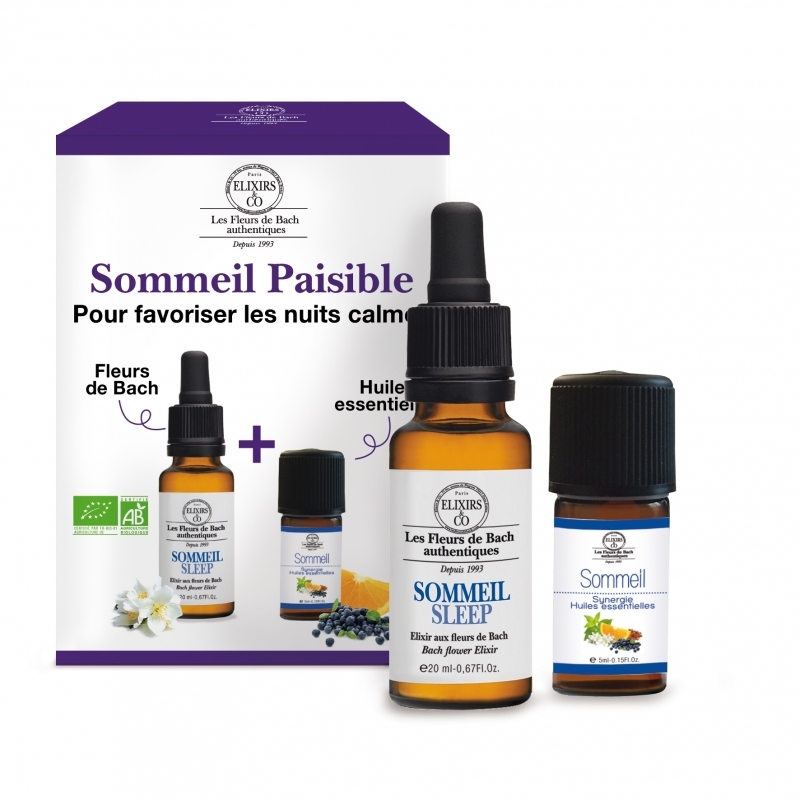 100% pure and natural essential oil blend to diffuse or to inhale to restor regular sleep patterns. Cognac (99,6%) 40% vol, Plant extracts 0,4% (1/250) : Ornithogallum umbellatum, Aesculus carnea, Aesculus hippocastanum, Populus tremula, Verbena officinalis.